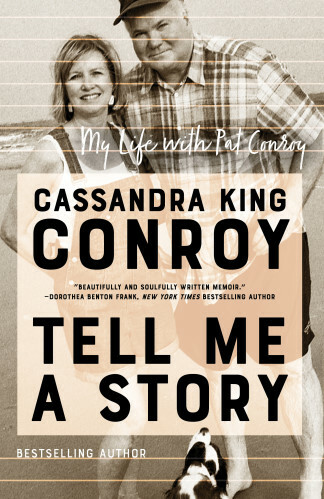 Bestselling author Cassandra King Conroy considers her life and the man she shared it with, paying tribute to her husband, Pat Conroy, the legendary figure of modern Southern literature. Cassandra King was leading a quiet life as a professor, divorced “Sunday wife” of a preacher, and debut novelist when she met Pat Conroy. Their friendship bloomed into a tentative, long-distance relationship. Pat and Cassandra ultimately married, partly because Pat hated the commute from coastal South Carolina to her native Alabama. It was a union that would last eighteen years, until the beloved literary icon’s death from pancreatic cancer in 2016. In this poignant, intimate memoir, the woman he called King Ray looks back at her love affair with a natural-born storyteller whose lust for life was fueled by a passion for literature, food, and the Carolina Lowcountry that was his home. As she reflects on their relationship and the eighteen years they spent together, cut short by Pat’s passing at seventy, Cassandra reveals how the marshlands of the South Carolina Lowcountry ultimately cast their spell on her, too, and how she came to understand the convivial, generous, funny, and wounded flesh-and-blood man beneath the legend—her husband, the original Prince of Tides.